How do I deal with spam comments on my blog 2: How do I tell if a comment is spam? In the second in my series of articles about spam comments on blogs, I’m going to help you to learn how to decide whether a comment is spam (so should be deleted) or legitimate. I started this series by writing about what spam comments are and why you should stop them, and if you’re new to the topic, you might want to go back and look at that post first. So, let’s have a look at some spam. I’m gong to start with the easy-to-spot ones and then move on to some more ambiguous ones. In each example, I’ve included a screen shot of the comment, with its origin on the left, the “comment” in the middle and the title of the bog post it refers to on the right. Some details have been blurred out. … and one with some random information on buying sports gear on a post about small businesses. Here’s another one which is talking about factory shops and comes from a URL about running shoes (remember how those spammers want to get the URLs of the companies they’re working for all over the Internet? Nothing to do with Word documents! So those are quite easy, and they’re also the ones you won’t see so often, as spam filters will catch them. what about this one? How nice – they found my post on Word documents to be wonderful. But again, no detail about what they found wonderful, and look at the commenter’s “Name” on the left. Enough said. I get this one ALL the time, mentioning they have bookmarked it. But from someone with a kind of name whose website is called that? (I’m not even typing the word here; who knows what that will attract! This last one is a clever one but I get the “famous” comment all the time; also the not knowing how they got there. The URL was VERY dodgy on this one, too. Note that quite often these comments have a spelling mistake or weird phrase. From having accidentally let these through in the past, I’m fairly convinced that they act as a kind of highlight to let other spammers know this particular blog is not well protected and they can get their spam onto it. It’s so easy to set up an automated search and comment! This kind of comment is even more difficult to work out – because we all like to interact with our readers and answer their questions! Well, I get these sort of comments all the time, and again, check the URLs and commenter “Names” and you’ll get a good idea of what you’re looking at. And the classic “off topic” – this again shrieks spam to me after years of seeing them – plus it’s our spacey friend again from above! By all means, answer legitimate, specific questions in comments – ones that relate to the post they’re commenting on, for example. But these two examples are absolute classics and should go straight into spam. This last category I usually give the benefit of the doubt and mark as Trash rather than Spam. After all, it’s common knowledge that a good way to get blog followers for our own sites is to comment on other people’s blog posts, and of course we will then include our own. It’s worth noting here, too, that I’m all about cooperation and coopetition with colleagues in the editing, transcription and localisation business, however, I’m not particularly keen (that’s an understatement) on people commenting about how their service is cheaper and better than mine! Thanks, but no thanks, and into the Trash it goes! This article has given you some examples of spam, ranging from the obvious to the not-so-obvious, and has hopefully helped you to distinguish spam comments from legitimate ones (for examples of legitimate comments, just take a look at the ones on my previous article, or, in time, this one!). I hope you feel more equipped to tell if a blog comment is spam now! I hope you’ve enjoyed this article. Do post any questions or comments below; your comments may affect the content of my next article! Welcome to a NEW small business chat – how exciting! Today we’re meeting Sara, a friend of a friend, who runs Sara’s Parlour Face Painting, which offers face painting and other art services in the West Midlands and beyond. Sara’s been running her business for a decade and you really should check out her website and Facebook page to see the amazing images she’s created. Let’s meet Sara and see how she’s got where she is today! Hello, Sara, and it’s lovely to meet you. So, basics first: what’s your business called? When did you set it up? Hello! My business is called Sara’s Parlour Face Painting, and I set up the business in 2007. It was a chance request for me to do some face painting from a previous client. I hadn’t done it before, but had a book on my shelf on face painting so decided to give it a shot! After completing my art degree as a mature student, I was unsure which avenue to take next. I had tried out working in various areas post my degree – including theatre design, art workshops, and graphic design. I realised after giving face painting a go that It makes people happy, that I loved sharing my artwork with people, particularly that mirror moment! Yes, I had designed clothing for boutiques in Birmingham and London back in the 90s. I worked part time alongside working for charitable organisations supporting the public, and there have definitely been skills learnt there that I’ve transferred to my work now. I wouldn’t change my job for the world, it is long hours behind the scenes, which requires a broad range of skills, although the public just see the fun stuff, but even if I had been told that in advance, it wouldn’t have stopped me fulfilling my passion! Saying yes to every new positive experience. I work in a co-working space which is brilliant, it’s a lot easier to motivate yourself when in an organised office environment, and there is so much to learn from others – so my top tip is don’t become isolated – it can be counter-productive! I’ve grown, moving into full time, subcontracting work out and working in teams, and getting bigger clients due to better marketing. Full time, potentially with at least one paid worker in the office so I can work on being creative! I love the passion my creative interviewees bring to their work – although you can obviously find passion in every sort of business. I was interested to hear that Sara works in a co-working space; that’s not something I can do in my line of work, not least because much of my work is confidential. But I totally agree about not becoming isolated, and have a good community of “my” people around me. You really should click on a link to see the marvellous work Sara does, and I’ll be looking forward to her follow-up interview next year! You can visit my website at www.sarasparlour.co.uk, find me on Facebook or just phone me on 07964 081 325. How do I make my picture appear next to my comments in Word 2013 and 2016? Here’s a problem: when I add comments to a Word document don’t show my picture by them although I’m signed in to my Microsoft account. This article explains how to make sure that your personal picture appears in your Word Comments (in Word 2013 and going forward to 2016 and beyond, for PC). If your picture has disappeared from your Word comments, it tells you how to get it back. If you don’t want to see your picture in Word comments, it tells you how to remove it. I always try to be responsive to my commenters (see this post on comments for why!) and so I’m writing this post as a direct consequence of a comment I received on one of my articles about comment boxes in Word. The basic problem is this: you can have your image appear next to your comments in Word. Because Word 2013 and beyond are designed largely to be used with an active subscription account with Microsoft, it can pull details from your Microsoft account through to the software to enhance your user experience. Why would you want your image next to your comments? I have Word 2013 and from the time I first started using it when I click on the Review tab and insert a new comment it would appear showing my name and my Microsoft “account picture” plus the typed comment. Now the account picture has disappeared and all you see is that icon of a generic person. Because I’m a medical editor who is constantly working on files with comments from many different people the photo is actually useful because at a glance I can whiz through a 40-page document, just slowing down when I see the photo in order to see if people have responded to my comments. So this comment writer uses the picture to scan down and find their own comments. Please remember the golden rule of Track Changes and Comments here, however: how you choose to display your Word document comments and changes has no effect on what your client sees. So you can add your picture to your own view, but don’t expect this to carry through to your client’s or collaborator’s view of the document. Where is the picture in my comments in Word? 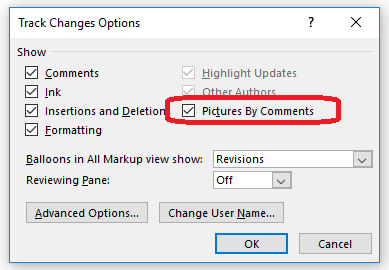 How do I add or remove my picture from Word 2013 comments? 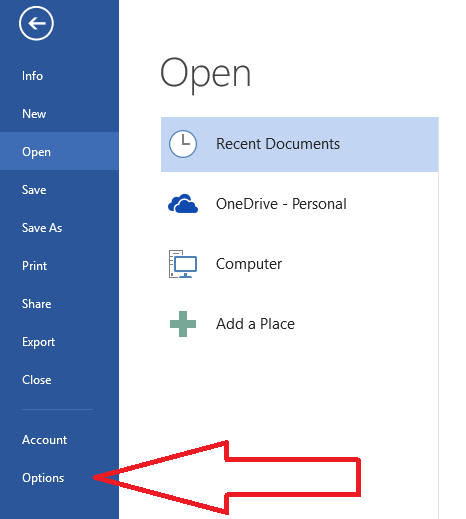 The first thing you need to do here is to make sure that you’re logged in to your online Microsoft account. If you don’t do this, the “picture” that appears by your comment will just be a little placeholder symbol and your efforts will be wasted to an extent. Now you need to make sure boxes are ticked (or unticked) in two places and then do one final but very important process. First, set up your Track Changes options to show pictures. Click OK and the first part of the process is done. Click on OK and process 2 is complete. After an amount of correspondence on this topic, my original comment poster noted that they hadn’t fully restarted their computer. It’s not enough to restart Word – you need to restart Windows. So, restart your computer and now your picture should appear or not appear as you wish. 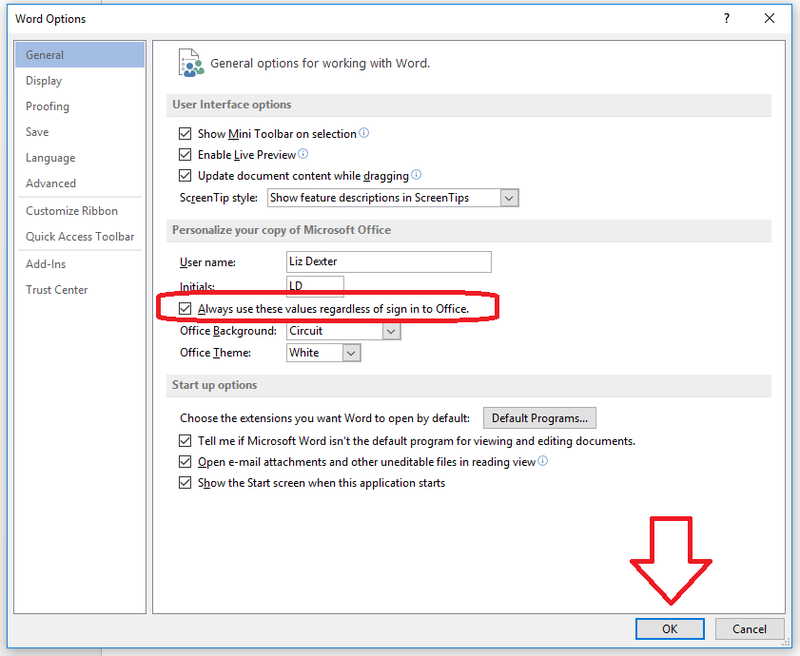 This article has told you what to do if your picture does not appear next to your comments in Word 2013 or you want to add or remove your picture from Word comments. Please do click the share buttons or comment if you’ve found this article interesting and/or useful. Welcome to another Small Business Update – and today we’re saying hello again to the lady previously known as Anastasia Bird, who is now Anastasia Wilson . Anastasia runs Virtual Bird, although her business model has changed since we started chatting back in March 2013. We had updates in March 2014, April 2015 and May 2016. and in that last interview, when I asked her where she wanted to be in a year’s time, she said … “Well, on exactly this date in a years time I’ll be getting married!! So in the meantime I guess just keep growing as Virtual Bird has been growing so far!” (don’t worry, I didn’t actually interview her on her wedding day …). Let’s see how she’s getting on! Hello, Anastasia! Congratulations on your wedding! Are you where you thought you’d be when you looked forward a year ago? Yes and no, I got married a few days ago so that’s VERY different! Business wise, yep, everything is on the right track and it’s growing at the expected pace. My working hours have changed, I now do a more “normal” working pattern as I was getting close to burning out. Stayed the same is my passion for helping other small businesses grow, it’s still the driving force behind what I do. I’ve learned that I’m not superwoman and sometimes you have to take a step back and re-evaluate. I knew this as I coach my clients about it, but it takes a personal experience to really put it into perspective. Ooh, always keep your inbox organised – a chaotic inbox can have an impact on your productivity function! Work-life balance and “normal” hours are very hard things to achieve, so well done to Anastasia for doing so well with that. I know very few people who’ve managed to build that in from the start, and many who had a risk of burn-out or even became unwell before they made the necessary changes. Welcome to an update with Simon Forder, who has a busy life dealing with his Telemarketing company, RingHello, his castles project, The Castle Guy, and being a dad. Simon is one of my few original 2011 interviewees left now (others have drifted away from the series, rather than going out of business, I hasten to add), catch-ups in October 2012, November 2013, February 2015. and April 2016. Last year his comment on his plans for the upcoming 12 months was, “I’ll be in a more secure place with regular historical commission work providing a greater proportion of income, we will have the software available with a reasonable number of subscribers (50 at least) starting to provide us with a regular ambient income, and maintaining a regular income stream from telemarketing as well. Maybe baby Olaf will have regularised his sleep patterns by then as well, so fewer black bags under the eyes would be nice!” Let’s see how he’s getting on! Hello Simon! So, how are things going? I am going to have to make this as brief as I can for reasons which should become clear as I type. Not least, at any moment it’s always possible that our little boy could wake up! Trying to juggle the amount of time that both the Castle Guy project and Ringhello needed with my health issues has proven to be a bit of a challenge, and adding a baby to the mix definitely increased that challenge somewhat. At the start of the financial year just ended, Janine and I chose to incorporate in order to allow us the opportunity of growing our business through the use of other trusted freelancers. We now have a pool of about a dozen people we can call upon to carry out these campaigns, and although there have been hiccups along the way, overall the plan is coming together nicely. The principal challenge has been to do with the drop in profitability due to the use of third parties – an awkward jump for anyone used to being self-employed – and a complete lack of support for the fledgling limited company from the banking industry. It’s now starting to be the case that we need to find more good quality people to work with us and our clients! We are now at the stage where we are investigating ways of promoting our software, which is designed to fit the gap between Excel spreadsheets and a full-blown CRM, helping small and micro-businesses manage their cold calling effectively. We’re offering it free just now if any reader is interested to ensure suitable feedback from outside users to show investors and potential partners. Just call me if you’d like to know more, readers…! The Castle Guy project had to take a back seat for a while, and I certainly haven’t been out and about as much as I had hoped, but I did manage to get the second volume in the series published a couple of months ago. (http://thecastleguy.co.uk/books/fortress-scotland-volume-2/) I couldn’t dedicate any resources to publicising it beyond my own social media efforts, but I’ve still managed to sell about 50 copies, which is really heartening given the hike in the price I’ve had forced upon me! I’m hoping to have a second Castle Guide out there soon as well – Stirling Castle. At present it’s an absolute whopper at over 20,000 words, I’m having to put together some hand-drawn sketches which is proving time-consuming. Health-wise things are on the up. I’ve learned to identify the signs my body is giving me when it isn’t happy with what I’ve eaten. But with a still not-very-sleepy 15 month old (he still hasn’t slept “through” once), sleep deprivation is definitely taking its toll. The CFS isn’t rearing its head (thank goodness) but I do find that I am nowhere near as capable as I was at – for example – doing the gardening. And the shoulder still hasn’t healed. Not really. Everything takes more time with a baby to consider, but I think we can see the light at the end of the tunnel now. Much is the same. Living and working in Scotland, where we have had a general election, Scottish election, independence referendum, EU referendum, Brexit negotiations – and another general election coming up soon (not to mention a possible second independence referendum), the economy is suffering from a chronic case of indecision. Every time there’s an election people hold fire on investment – and there’s no clear end in sight yet. But people in business are starting to realise they can’t avoid making decisions indefinitely, and that has to be good. I honestly can’t answer the first part of that question; the only thing I wish I’d known was that one of our suppliers was going to fold. It’s left us with a gap in promoting our business that to be honest we could have done with some notice to plug properly. Oh, and I would have approached exhibiting at a business expo in London differently. I’m not in the business of naming and shaming, but we’ve been left with a very bitter taste in our mouths by an utterly unscrupulous sales team. Sins of lying and omission, let’s put it that way. Hopefully in the position I said last year. At the very least I hope that everything has stabilised – but with the political situation as it is, I remain doubtful. A bit of a complicated year, then, with lots of choices and changes and a lack of stability. I hope the political situation calms down a bit, too, as it’s worrying when you deal with lots of overseas clients like I do. I love Simon’s hint about giving yourself time to breathe. It only takes anything to do with your health to realise that you’re not a business machine but a person who needs to look after themselves! You can find Simon online at ringhello.co.uk and thecastleguy.co.uk. How do I keep people engaged with my blog? I’ve been thinking about how I engage with other people’s blogs recently, and why I stop reading them, or choose particular ones to cull when I feel like I have too much to read. Here I share a couple of top two tips for engagement – and the top reason I personally disengage from blogs. Blogging is in the main a social activity. If you don’t want people to read your words, you’re more likely to write them in a journal or in a document stored privately, aren’t you? And you’re going to want feedback from people – your readers. You might look at your statistics and know that people are reading your words, but you also want comments, other people’s words, saying they hear you, they agree, maybe they respectfully disagree, but they’re engaging with you. Edited to add: It’s been pointed out to me that some people do (and it’s of course completely their right to do this) use their blog as a kind of diary, a point of self-reflection, but choose to place that online rather than privately. That’s obviously completely fair enough. But such blogs don’t tend to call for answers, ask questions, look overtly for back-up or seek to engage in the way I’m talking about. If you do seek to engage, it’s good to engage back. If you don’t choose to, that’s fine, as long as it’s an active choice and you realise that might put off some readers if you were hoping to engage them. I hope that’s clearer and more inclusive now. I read a lot of book review blogs and a lot of editing and business blogs, too. Blogging isn’t only social for the nice person sharing review of books – it’s a way for businesses, large and small, to engage. I’m thrilled when the how-to articles on this blog get liked and commented on – often many years after I first posted them. Sometimes it’s just to say thank you, sometimes to ask a question, but I always appreciate the effort that someone’s gone to to click and type. I also like commenting on people’s blogs if I can contribute something, whether that’s a word of appreciation, a “me, too” or an answer to a question posed in the article. The number one reason why I disengage from a blog (after the blogger ceasing to write it and finding offensive content) is when the blogger doesn’t respond to comments. I’m not talking not responding to a few here and there, or taking a while to respond, but when a blogger either only responds to one or two obviously favoured commenters, or just none at all. Ever. So I’d suggest that if you want to maintain engagement with your readers and stop your blog leaking readers, you should consider replying to your comments, even if only with a thank you or a few words. It makes the commenter feel read, feel appreciated, feel like they’re being talked to, and builds reciprocity and connections. Going by my sample of one, they’re more likely to stick with your blog and read it through thick and thin, engage with it and share it. And that’s what we want, isn’t it? I’ve previously explained how to do this for WordPress.com – you can easily add a “Like” button to your comments, so you can like someone’s comment and they can like your response. I love this – it’s a great short-cut if you don’t have time to reply to a comment right now, and for the original commenter to acknowledge that they’ve seen your reply to them. I’ll hold my hands up now and say that I know I have not personally responded in full to every single “Thank you, you saved my document” post on this blog. I do try to Like such comments now I have my Like buttons, and if someone asks me a question, I’ll always answer it to the best of my ability, as for clarification or say I’m going to leave it up there because I don’t know the answer but someone else might. If you dig around on this blog, you will find comments that haven’t been answered (please don’t, though – I have admitted it!) but in the main I like and reply. Obviously, people go away, people get ill, people have scheduled times away from their blog – and sometimes schedule posts to publish in the meantime. And you don’t always want to advertise you’re away, right? But the bloggers I love will explain this, maybe afterwards: “I’ve been away and I’ll catch up with your comments now I’m back; sorry if I miss any”. Others do talk about a gap in advance, and of course that’s all fine and understandable. No one should be chained to their blog – but if you allow comments, it’s my personal opinion that you should respond to those comments if you can. If you comment on blog posts, do you expect a reply or acknowledgement? Do you reply to people’s comments on your blog? What’s the top reason you turn away from reading a blog? I’d really like to know!